MNL48 finalists exert extra effort as they get closer and closer to finding out the first generation members of the first idol group in the Philippines. For almost three months of MNL48 on It’s Showtime, the girls have proven that they already got not just idol-like performances but also the characteristics of being an idol during their trainings on their journey to Final 48. Last week, the audience and the coaches enjoyed watching them grove to the beat of AKB48’s hit song Aitakatta wearing their uniforms. This week, the viewers have seen their genuine smiles and inspired faces as they performed another AKB48 song, Koisuru Fortune Cookie in the noontime show today. After the feel-good dance performance, everyone was saddened by the announcement of the sudden back out of MNL48 consistent top rankers Eunice and Aria, who decided to focus on their family and studies, respectively. To complete the 48 girls, challengers Mari and Belle were chosen based on their ranks to be officially part of the Top 48. The Top 3 were also chosen based on their personal scores since the beginning of the competition. Sela, Abby and Trixie got the highest overall scores from the ABS-CBN and Hallo Hallo Entertainment executives and staffs, coaches, advisers, and the madlang hurados. Beginning today, the girls have one week left before the General Election on April 28. Voting will officially close on April 27. So the aspirants are thoroughly campaigning to be part of the Top 7 to have a chance to train with AKS in Japan, the talent agency who handles AKB48. To be the center girl is the most desired position in MNL48 because she will be the face of MNL48 worldwide. Meanwhile, MNL48 will be having its first big event, the “Meet Your Oshi” event on Sunday, April 22, where the finalists will perform in front of the public for the first time at Trinoma Level 4 Park. In addition, fans will have a chance to meet and greet their Oshi. 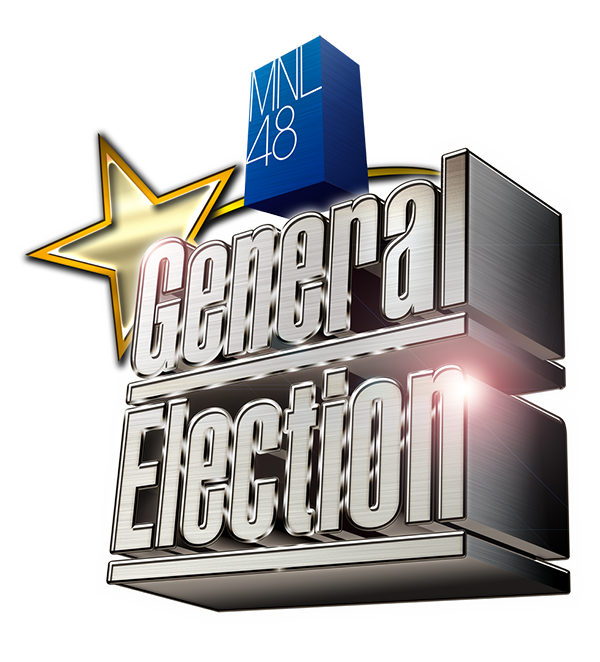 Watch the MNL48 Online Update weekdays, 6pm and stay updated on the MNL48 website and social media accounts to get the latest updates on the upcoming General Election. After all the hardships and triumphs each of the MNL48 aspirants went through in the hope of becoming part of biggest idol group in the Philippines, the competition is set to conclude this April 28 as the MNL8 First Generation General Election was formally announced on It’s Showtime. After the dance face-off of the seven challengers and seven bottom rankers, Hallohallo Entertainment Inc. revealed that starting today, April 14, the battle for the Final 48 officially begins as the votes on the MNL48 app reset and go back to zero. Inspired by the tradition of its sister group, AKB48, MNL48 will be having its first General Election on April 28 with live coverage to be aired on It’s Showtime. The big event will determine the members’ hierarchy in the group which will be based on votes. From the Final 48 after the General Election, Top 16 will compete for the Top 7 spots who will be training in Japan and will have the opportunity to perform with AKB48 and other sister groups in Asia, while the remaining 41 members will train here in the Philippines. As the Top 7 members will be chosen, the center girl who will be the face of MNL48 will also be crowned. Vote for your Oshi and make her dreams come true. One account can only vote for one aspirant so choose wisely, voting opens at 3pm today on the MNL48 Plus App, and will officially end on April 27, 1pm. The official MNL48 first generation idols will have the privilege to perform on MNL48’s soon-to-be-built theatre, will be the first Filipino endorsers of Tokyo Girls Collection, together with other Japanese girls, and will be living on the MNL48 mansion. As the chosen 48 Madlang Hurados from Monday to Thursday continue to score and comment on the aspirants` performance on It’s Showtime, Jewel, Tin, Brei and Ecka stood out as the best performer each day on their group performances. Earlier today, 41 aspirants were given a chance to perform one of AKB48’s popular songs live on stage. The girls impressed their advisers and the noontime audience as they showcased their talent by performing their sister group’s 3rd single and first major single released, Aitakatta (I Wanted to Meet You). Meanwhile, to prove to everyone that they deserve a spot on the upcoming MNL48 General Election, this week’s bottom 7 and the 7 challengers didn’t waste their chance to show-off their dancing skills on their dance showdown by performing Ariana Grande’s dance-pop and EDM song hit, One Last Time. Everyone was amazed on how the bottom 7 defended their spot in the Top 48 with the total average score of 74.96%. Kyla caught the eye of their adviser, Ogie Diaz. “Hindi ko naramdaman na nasa bottom 7 kayo” (I didn`t feel that you are the bottom 7 girls) Ogie said. Rank 7 Gabb, Rank 6 Tin, Rank 5 Trixie, Rank 4 Alice, Rank 3 Sheki, Rank 2 Eunice, Rank 1 Abby. 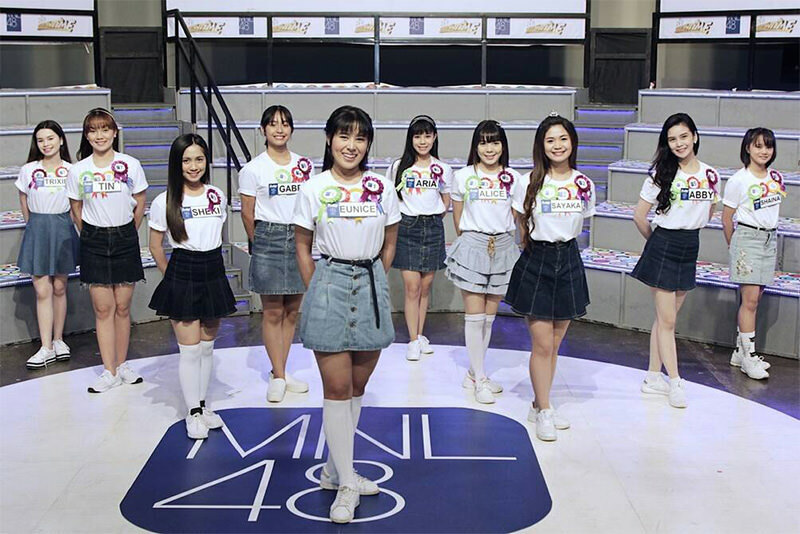 For this week’s MNL48 Online Update, Top 48 and 27 challengers proved their worth to be part of the MNL48 first generation by showcasing their talents on their group performances. Also, 20 girls from the MNL48 challengers were also introduced to the supporters as they entered the competition. Get the latest updates by following the MNL48 official Facebook page (@mnl48official), MNL48 official Twitter page (@mnl48official), MNL48 YouTube channel (@mnl48), and keep on supporting your Oshi through the MNL48 Plus app available on Google play and App Store for free. Now that MNL48 is down to 48 aspirants, the search for the first generation members of the newest idol group in the Philippines continues, and they will be facing new challenges in the coming weeks. A week after the announcement of the Top 48, the finalists were given the chance to impress the viewers with their talents. They were divided into six groups, each performing different dance songs every day from Monday to Saturday. Some girls grooved to the beat of Kesha’s Tik Tok, others danced to the music of California Girls and Fireworks by Katy Perry, Starships by Nicki Minaj, Shake It Off by Taylor Swift, and Domino by Jessie J. On the other hand, the supporters got the chance to know more about their idol’s lives as each MNL48 finalist brought with them a person closest to their hearts during the MNL48 Online Update aired on its official Facebook page (mnl48official), Mondays to Saturdays. Meanwhile, the remaining aspirants are striving harder after they knew that only the top 7 will get an opportunity to train with AKS in Japan, the talent management who handles their sister group AKB48. The official first generation of MNL48 will also have an endorsement, recording contracts, and will be performing daily at the MNL48 theater and will have the chance to perform with some members of AKB48 and its other sister groups. Watch their videos in MNL48 official YouTube account (@mnl48) and get the latest updates in its website (mnl48.ph) and social media accounts. The remaining MNL48 aspirants were all given a chance to perform live on It’s Showtime stage as the Top 48 girls who will continue on to the competition were announced today, March 17, 2018. The girls impressed the audience and their mentors when they showcased their dancing skills to the beat of Kim Chui’s OPM song, Expressed Yourself. Among the 55 girls, Ella, Dana and Nice stood out as the judges noticed their charm and stage presence during the group performance. Sadly, much to everyone’s surprise, 7 girls were eliminated earlier today. Pam, Patriz, Bea, Heart, Yoana, Erah and Mara bid their goodbyes to their co-candidates and supporters for the fifth live elimination that led to the announcement of the Top 48 girls who will continue their journey to be part of MNL48 first generation members. The remaining girls will face new challenges as they are now a step closer to reaching their ultimate idol dream. Meanwhile, the remaining aspirants started their TV guesting on the Kapamilya show, Umagang Kay Ganda last March 12 to 15 and later joined the MNL48 Plus mobile app promotional tour at Starmall, Alabang where they campaigned for votes and met some of their supporters. Make sure to visit MNL48 website (mnl48.ph) to view the Top 48 ranking and continuously support your Oshi by inviting more people to vote through the MNL48 Plus app. Stay updated on their journey by following the MNL48 official Facebook page (@mnl48official), MNL48 official Twitter page (@mnl48official), and MNL48 YouTube channel (@mnl48). MNL48 finalists are on edge for week 6’s Top 10 and eliminated names announced on ABS-CBN’s It’s Showtime on March 10, 2018. Gel, Dian, Gela, Erica, Jem, Val, Joyce, Enzel, Zen and Orelle impressed the judges with their live performance of the OPM dance hit “Kembot” by UD4. Shaira, on the other hand was able to come back to the Top 10 while Aria missed a spot in this week’s top rankers. Meet the Top 10 candidates who got the most votes this week according to their rank. The competition is weeks away from forming MNL48, and the candidates waste no time campaigning for votes, sharpening their talents, and achieving their idol dreams. Sadly, for the fourth live elimination, Gel, Enzel, Val, Gela and Orelle have to bid adieu to their chance of being part of the all-girl idol group. These hopefuls received the lowest scores from their advisers, coaches, and producers. Catch the remaining candidates live on MNL48’s Online Update from Monday to Friday at 6PM and Saturday at 5PM on its official Facebook page and YouTube channel. Stay updated on the real-time ranking of the remaining finalists. Continue to vote and campaign for your Oshi through the MNL48 Plus app available on Google Play and App Store for FREE. 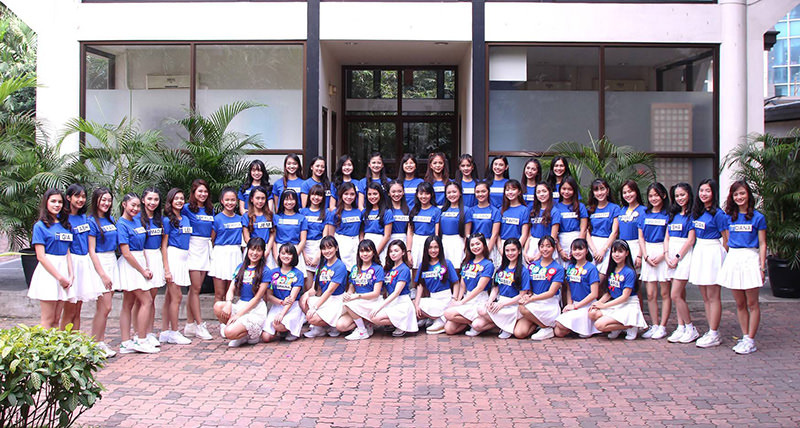 Although the remaining 60 finalists became closer to reaching their dream of becoming part of the Final 48, they were saddened as another five girls bid goodbye to their MNL48 journey today, March 3, after their performance on ABS-CBN’s It’s Showtime. Despite being in a competition, the girls have already formed a strong bond and friendship that will continue on even after the idol search. Tears shed as the candidates gave their final messages to their close friends at the back stage after the emotional announcement of this week’s Top 10 and bottom five. Sheki jumped to Top 3 and is definitely another candidate to watch out for in the coming weeks. Here are the other aspirants who made it to this week’s Top 10 according to their ranking. Ella, Rain, Sheki, Pie, Cherish, Alyssa, Kate, Daryll, Lorem, Aly got the chance to show their talent in singing and dancing as they performed Kapamilya singer/actress Janella Salvador “Pumapag-ibig” live on stage, together with the Top 10 this week. Out of 65 hopefuls, Pie, Rain, Lorem, Kate, and Cherish got the lowest score from advisers, coaches, and producers leading to the end their idol journey. Discover more about your Oshi by tuning in to MNL48 Online Update from Monday to Saturday every day at 6PM on its official Facebook page (@mnl48official) and YouTube Channel (@mnl48). Last week, the supporters have witnessed Top 65 girls’ special talents and skills from beat boxing to painting, so keep on watching and find out more about your Idols. See the real-time raking of the remaining finalists on our website (mnl48.ph) and MNL48 Plus app, and don’t forget to continuously campaign and invite more people to register and vote for your Oshi using the mobile app available on Google Play and Play Store for FREE! 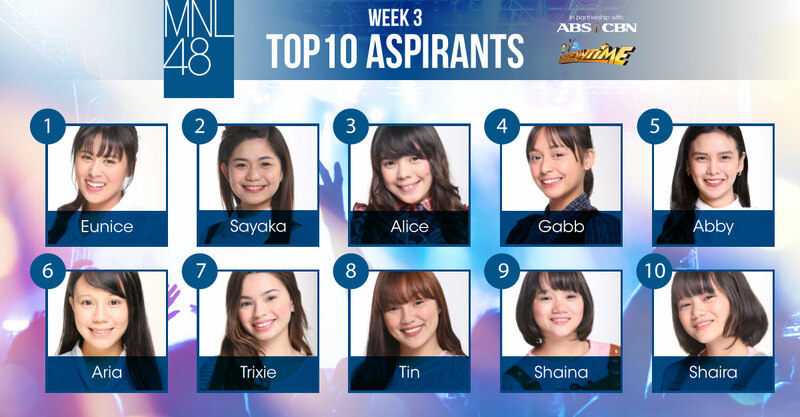 After the heartbreaking first elimination of five aspirants and the announcement of Week 3 Top 10 girls last Saturday, another batch of hopefuls were given a chance to shine onstage as this week’s Top 10 aspirants were revealed today, February 24, on ABS-CBN’s It’s Showtime. This week, Lei, Uriko, Alice, Aria, Sheki, Shaina, Nice, Eunice, Shaira, Cath, Tin, Micah, Abby, Kimberly, Ash, Sayaka, Alyn, Trixie, Jewel, and Gabb performed live on It’s Showtime stage and surprised their advisers and the audience as they showcased, for the first time, their singing talent while performing Yeng Constantino’s hit song “Time In” headed by their voice coach Maria Cecilia Arrieta. As for our Week 4’s Top 10, Eunice and Sayaka have consistently been Top 1 and Top 2 for the third consecutive weeks, while Alice maintained her rank as Top 3 for this week. Sadly, another batch of hopefuls ended their MNL48 journey today as their advisers, coaches and producers eliminated 5 aspirants for this week’s live elimination. Early today, we said goodbye to Uriko, Cath, Micah, Alyn and Kimberly. 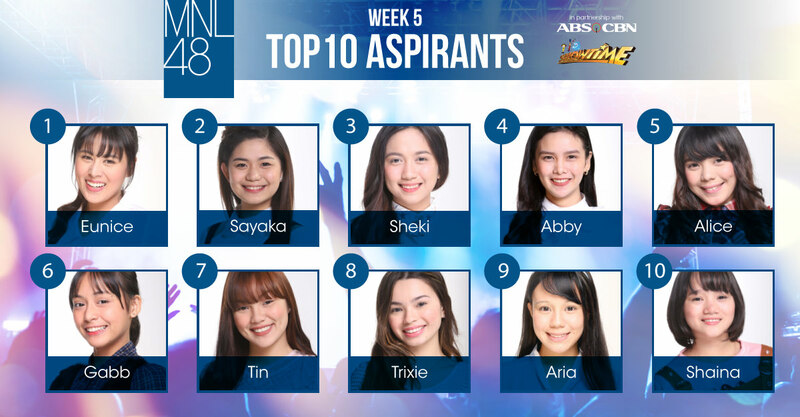 Secure your Oshi’s spot on next week’s Top 10 by continuously campaigning for them and inviting more people to vote using the MNL48 Plus Mobile App, available on Google Play Store and App Store. Meanwhile, get to know more about the remaining finalists by tuning in on MNL48 Online Update airing from Monday to Saturday at 6PM on its official Facebook page and YouTube Channel. To view the complete Top 65 ranking, you may visit the MNL48 website and MNL48 Plus mobile app, and get the latest updates by following MNL48 social media accounts. 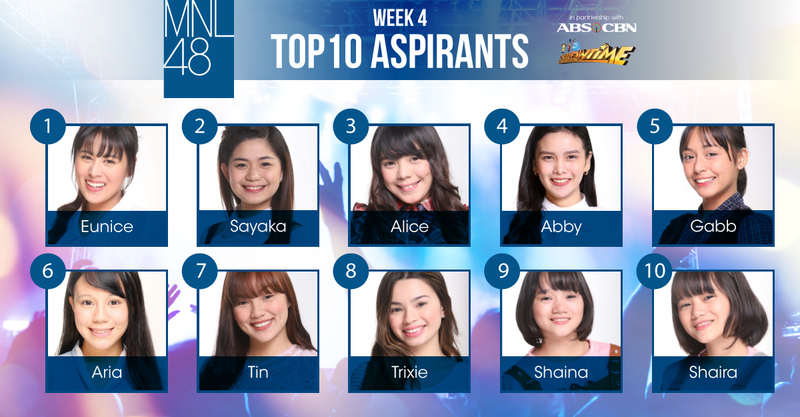 Two new aspirants moved up and performed live as part of this week’s Top 10 girls as revealed today, February 17, on ABS-CBN’s It’s Showtime. After a week of rigorous training and rehearsals, this week’s top-rankers wowed the audience with their group performance of Anne Curtis’ OPM single “Empire of Pink”. Aside from the Top 10 girls who performed today, the idol hopefuls were in for a big surprise as another group of talented girls got a chance to perform live to prove that they are also idol-worthy. However, as the competition gets tougher, starting this week, our future idols will have to double their hard work and dedication as MNL48 advisers, coaches, and produces will eliminate five aspirants every Saturday. Earlier today, Zara, Zhyra Ica, Isha, Krizzia, had an emotional farewell on It’Showtime as they bid goodbye to their fellow candidates. 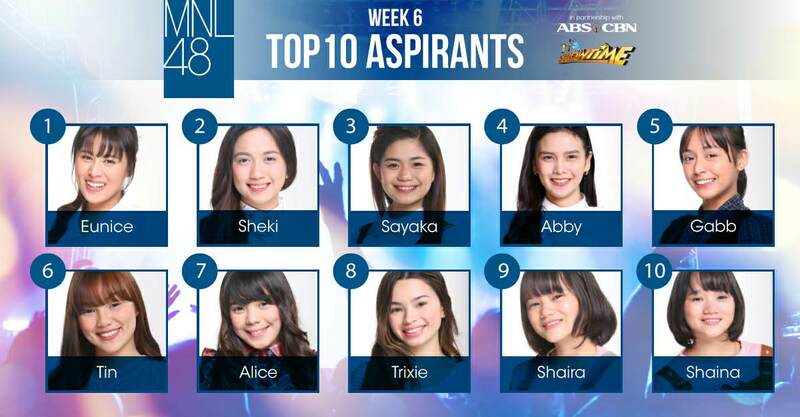 Make sure to continuously campaign for your Oshi and vote for them using the MNL48 Plus Mobile App to secure their spot in the succeeding weekly Top 10 ranking and watch them perform live on It’s Showtime every Saturday. Aside from the MNL48 segment on the Kapamilya Network’s noontime show, fans and supporters can get up-close and personal with the MNL48 finalists by tuning in live to MNL48’s Online Update airing daily at 6PM on its official Facebook page and YouTube channel.